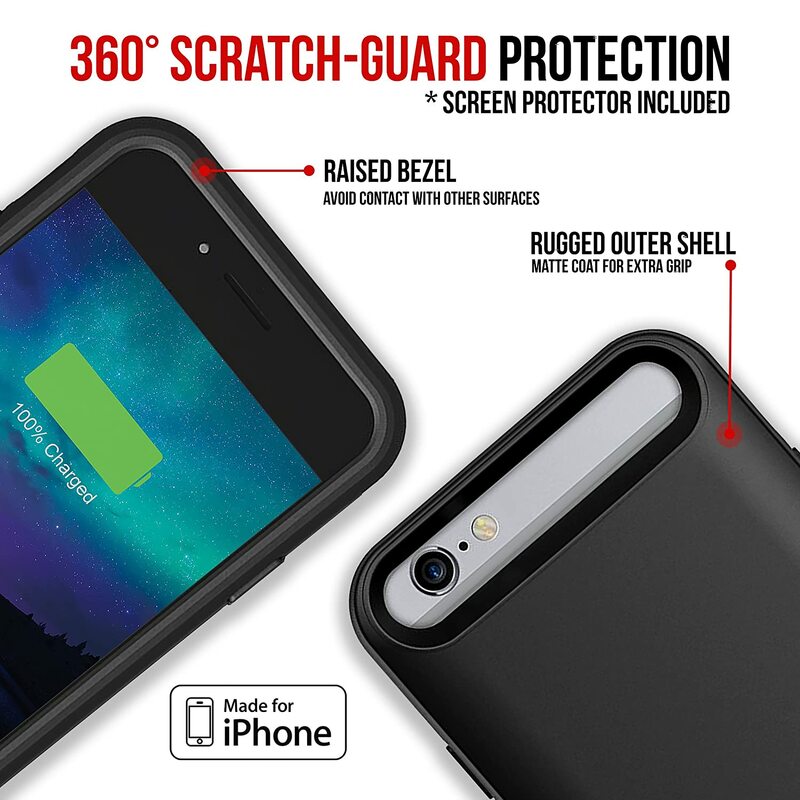 MFi CERTIFIED: Made for iPhone to work with all functions of your iPhone 6S/6 charging case. 100% compatible with all iOS versions, Apple Pay, and future iOS software updates. 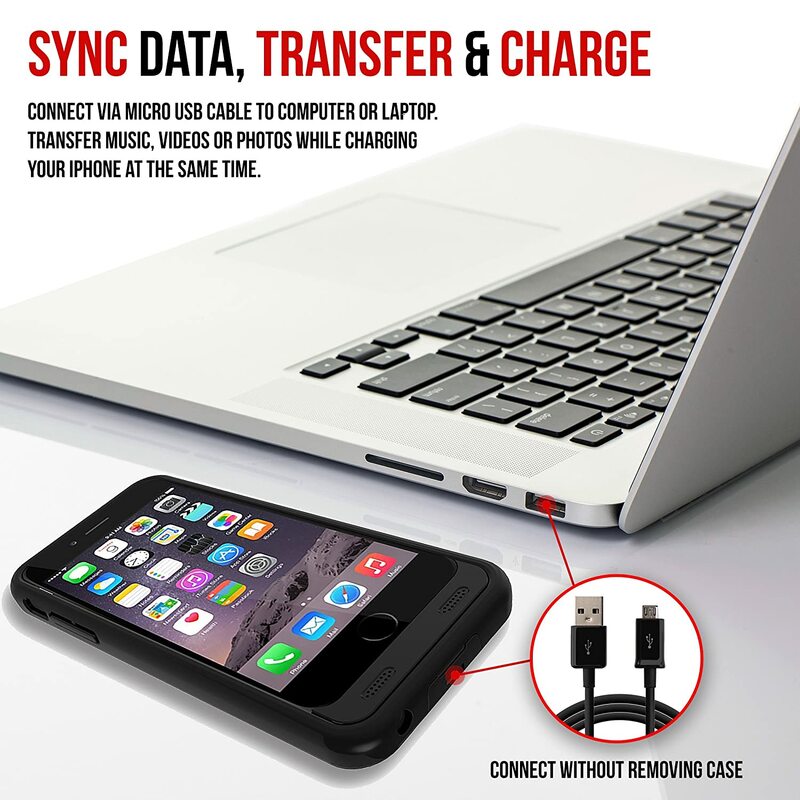 Charge and/or sync your iPhone while in the iPhone 6S extended battery case using the included micro USB cable. 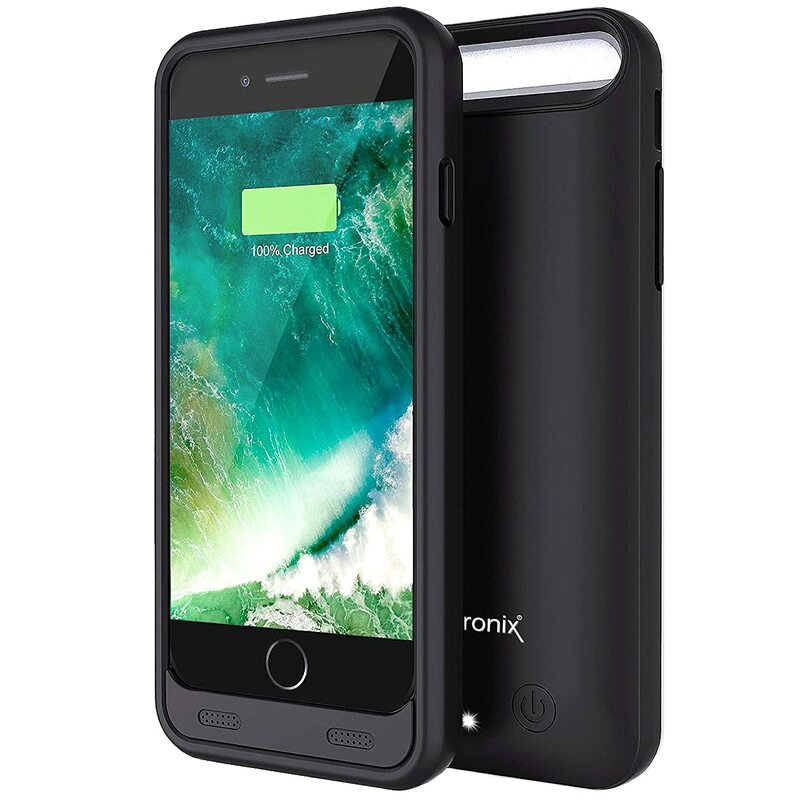 This battery case has the highest industry regulatory certificates: MFi Apple Certified chip, CE, RoHS, and FCC. EASY INSTALLATION: Insert your iPhone 6S/6 into the output port's connector chip. 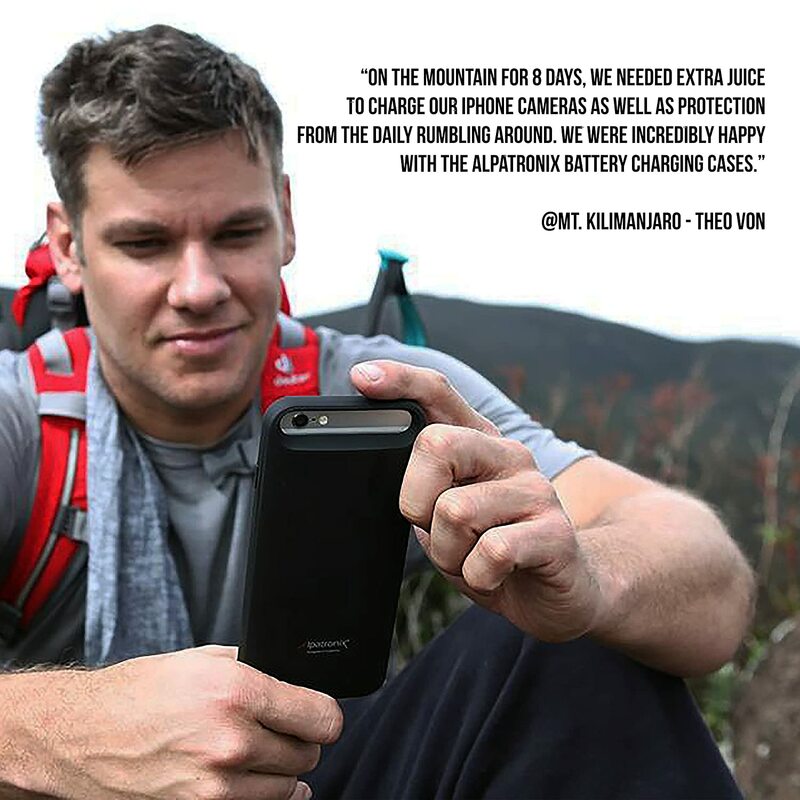 The extended battery case uses a micro USB input port to enable recharging and data transfer. 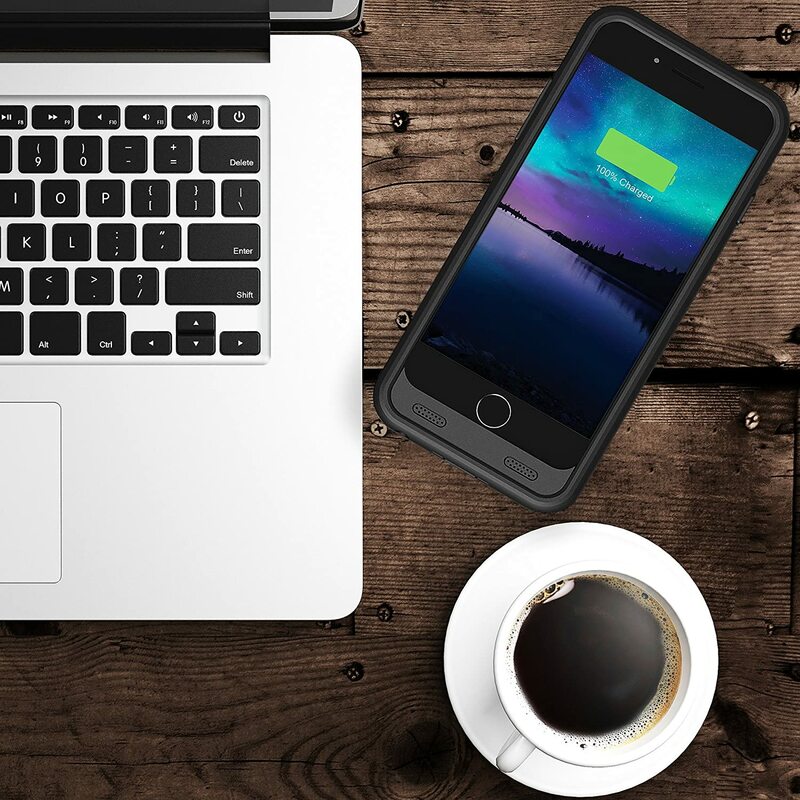 You can conveniently charge and sync both the battery case and iPhone 6S/6 to your Macbook, PC or laptop without having to remove the battery case. WHAT’S IN THE BOX: iPhone 6S/6 charger case, 2 bumpers (one matching and one additional clear bumper), micro USB charging cable, user manual and our legendary, super-friendly customer service. Life-Time ironclad warranty ensures you are protected for the life of this product and 30-DAY MONEY-BACK GUARANTEE offers peace of mind, enabling you to return the product in case you don’t like your purchase for any reason. 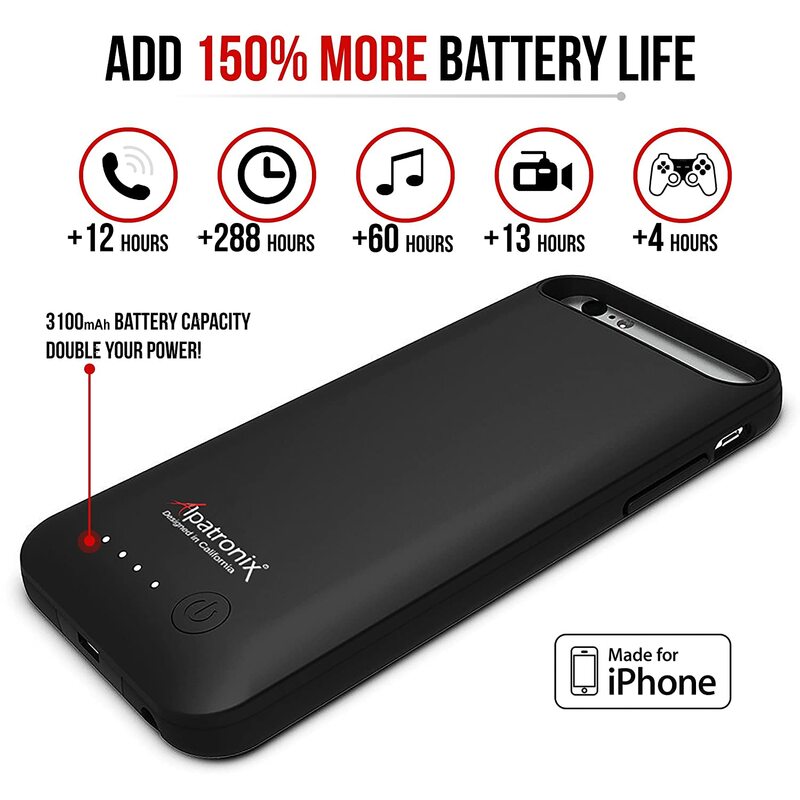 The iPhone 6 battery case is designed by to improve the performance and battery life of your iPhone 6. Built for the avid iPhone user and extensive use, the BX140 is excellent for traveling, work and on-the-go protection. 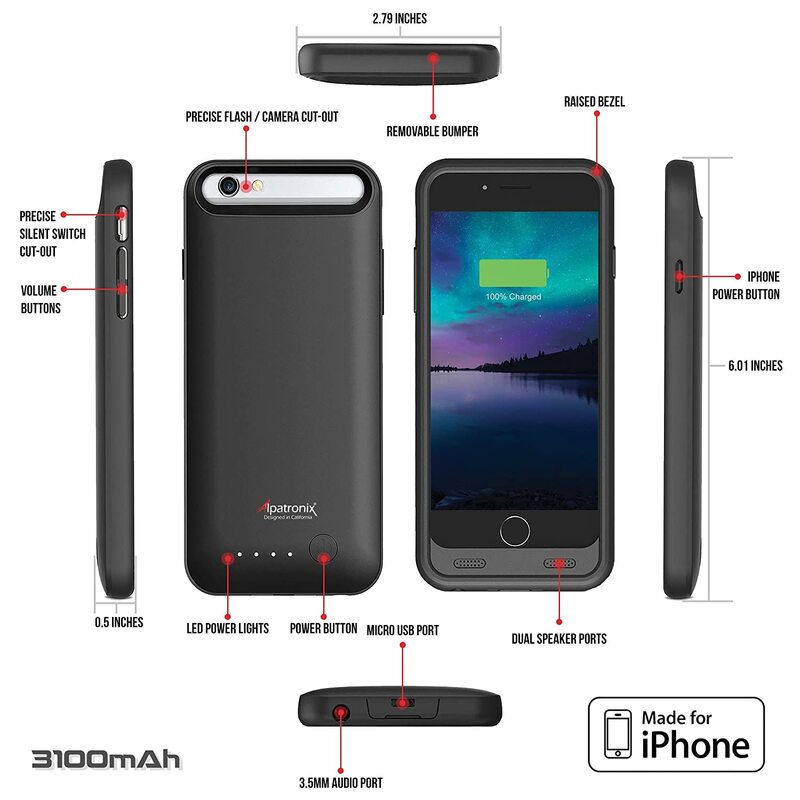 3100mAh built-in battery will provide your iPhone 6 up to one more charge when needed (keep in mind, using your iPhone while charging the device with the battery case may reduce the total charge to your iphone's battery power as it will use some of the additional battery power). 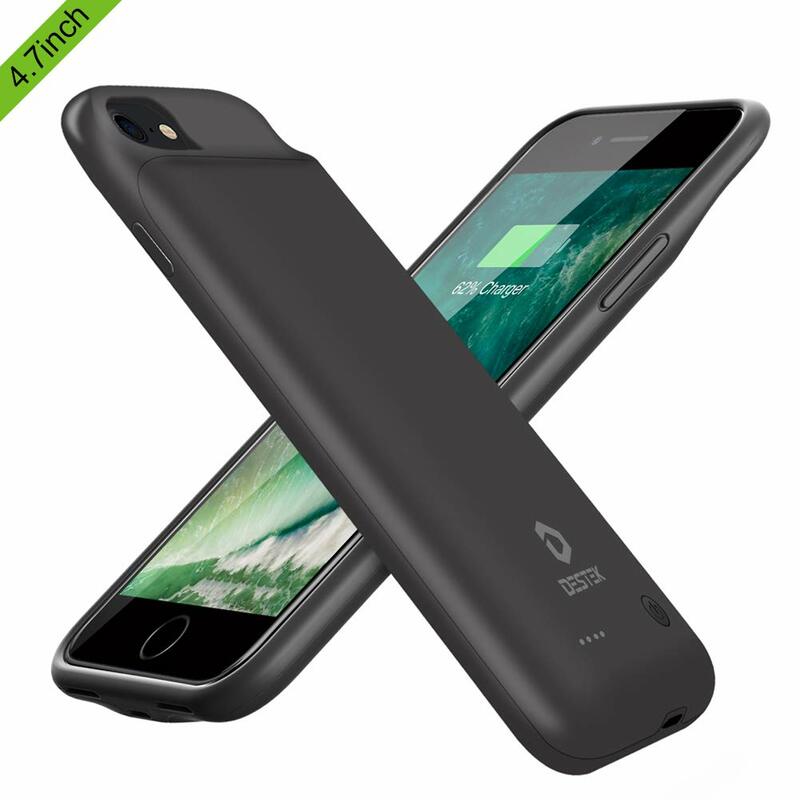 This battery case is amazing. The battery pack has charged my iPhone 6 almost 1.5 - 2 whole times. 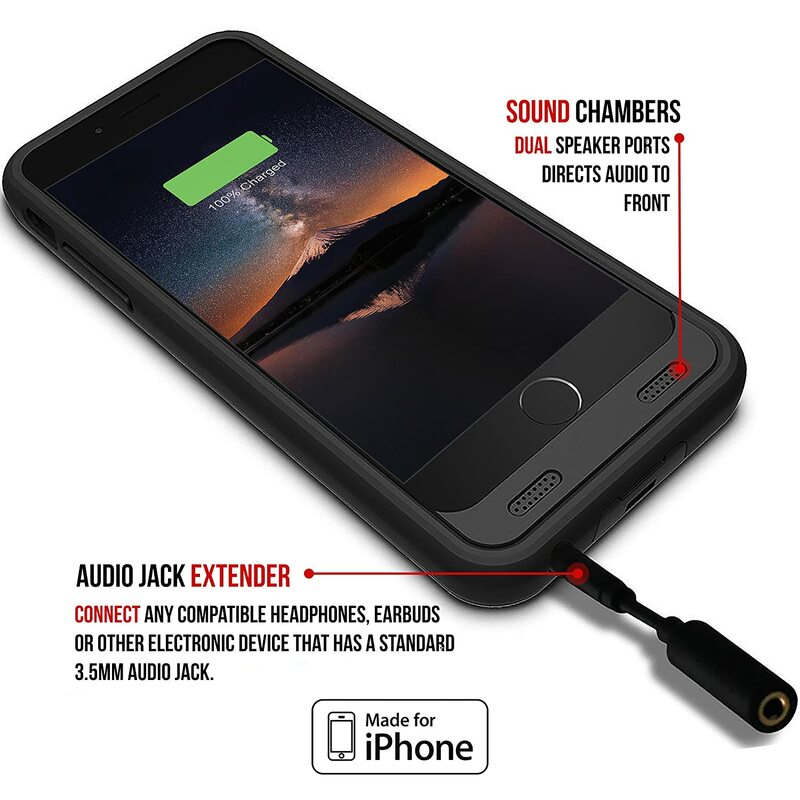 The case comes with two speakers on the bottom that face the user (unlike the normal/default iPhone speakers) which result amplified, clearer audio. The case has also protected my iPhone from scratches and relatively high drops without much damage to itself. In addition, the micro-USB charger is perfect because a lot of people have them (Android phones require them) and they are really cheap/plentiful. Lastly, I like how the case adds some weight and size to the iPhone 6, which has almost flown out of my hands in the breeze. 1. In order to connect headphones or anything to the audio port, you need to use the converter/extension (they provide one for free) with it. This is, unfortunately, fairly difficult to carry around or have every single time you need to plug something in. 2. I can only do big data transfers (ie. photos, iTunes non-wireless sync) with it when the case battery is completely charged. I think this is because the charge/power switches from the case to the phone so that they're both charged at the same time. Anyway, I still love this product and would definitely buy it again. With the new IOS sucking the battery life on my iphone 6 this gets me a day and a half and sometimes two days without needing to hunt down a phone charger. It obviously it makes the phone heavier, but I sort of like the extra weight in my hand. I haven't dropped it yet so I don't know how much protection the case will provide. Having said that it is NOT a shock proof case. I haven't used the aux jack extension and I lost it so I can't report out on that. It makes the phone a bit taller due to the connection of the battery to the phone. I don't mind that either. Overall I like it. After using it continuously since it arrived the battery doesn't seem to hold a charge as long as it did when new. I did drop it about 2' on the concrete driveway and it hit a corner and broke the screen. Big fat bummer. So I'm going to archive this battery case and go back to carrying a backup battery and go back to a protective case. 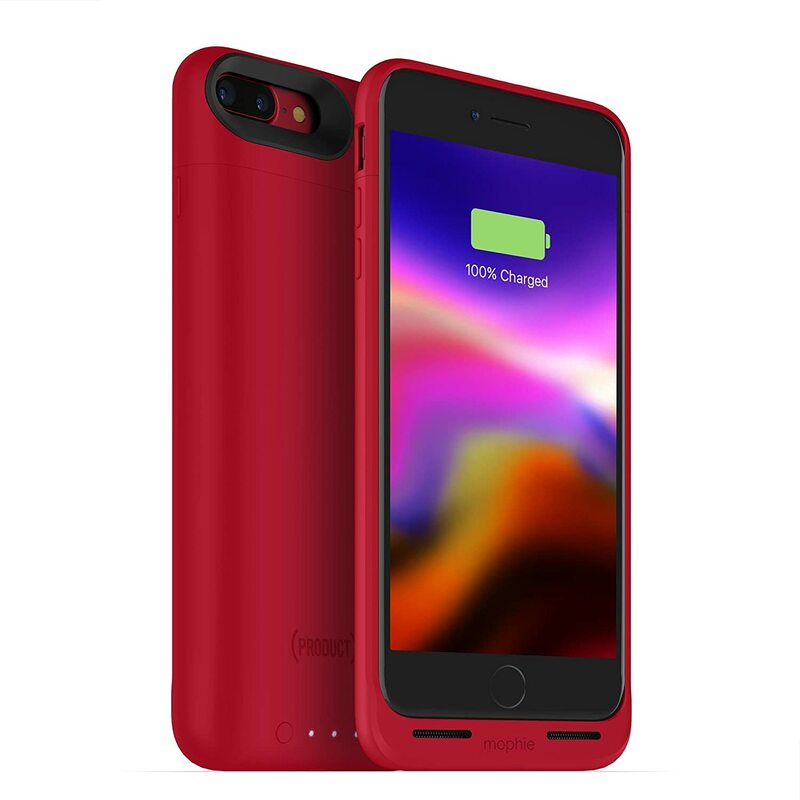 Looking for a quality battery case for your IPhone without going broke? 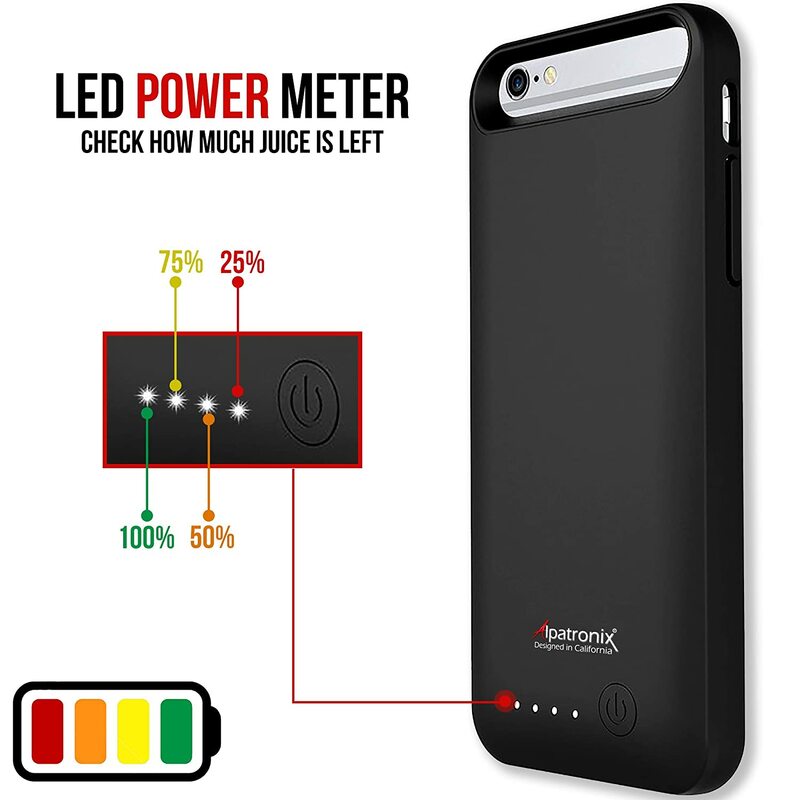 Look no farther than Alpatronix for a high quality and durable product that protects as well as keeps you powered up for all your cellular needs long after any other similar product on the market does today. I'm a power user and after having burned through several competitors chargers have finally found a reliable, good looking and price conscience product that delivers the best bang for the buck. These are so good in fact that I purchased extras to give as gifts. I was very surprised how thin this battery case was. It's very durable, yet feels light, as if I never put the battery on the phone. It's got a nice smooth rubber feel for gripping so I don't have to worry about it slipping out of my hand. There are two things I didn't like, but can live with considering how well-made this product is and it's lifetime warranty. One, is having to take the bumper off every time I wanted to take my phone off the battery. You literally need a fingernail to separate the bumper from the phone. 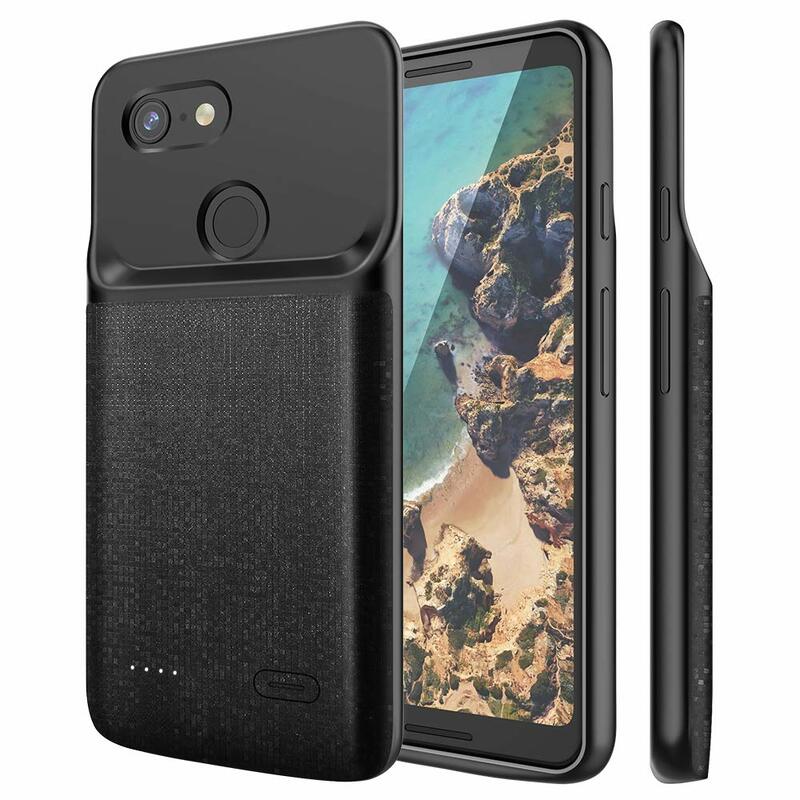 This case would be perfect if the top popped off (like other brands) so I could simply slide the phone out of the cradle. Also, there's a SLIGHT beveled edge to protect the screen, but it's really not very high, so I purchased a good screen protector and put that over my screen. 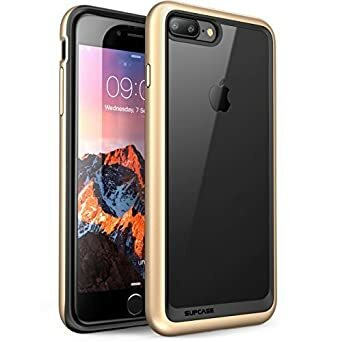 They provide a screen protector, but I think it's more for scratches, as opposed to breakage of the screen, so I highly recommend you get a heavy duty plastic screen protector to go along with this case, which is a great value for the money! Had I written this review in the first month or 2 it would have been 5 stars. After 4 months the USB port for charging developed 'wiggle' causing it to be nearly impossible to charge. I tried different cords, all with the same results. The good points? It's durable, I work landscaping and am always banging it on something and when I come in from work I toss it onto my granite kitchen counter. And I've even thrown it on occasion. When I can get the case charged, I can go 3 days between charges, while listening to music for a good portion of the day. If I were to make improvements to this I would change the USB port to an iPhone 8 pin jack and I would add a 'kickstand' for viewing videos or movies. Buying this through Amazon I purchased it for half of the retail cost so, I will buy it again but, I'll be sure to save the warranty information. The battery seems to work as advertised and I've gotten at least one full charge out of it each time I've needed to use it so far. That's all I really expect from something like this though it does indicate it has plenty more than one full charge in it. After just a week plus of usage the matte finish on the front of the phone is already starting to peel so I'm not confident that that will last too long. I'm not that picky when it comes to cases anyway so as long as the battery keeps working, I can live with that.